Give your Wrangler JK some added style with a Replica 10th Anniversary Hood from DV8. This hood will give you better engine cooling plus give you a rugged look without a heavy price tag. 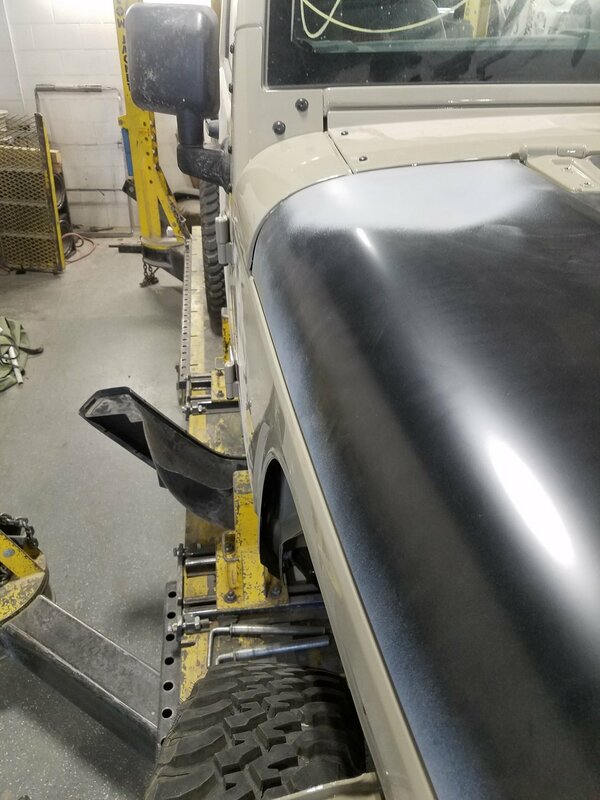 Comes ready to paint to match match your Wrangler JK and will work with inner fenders. 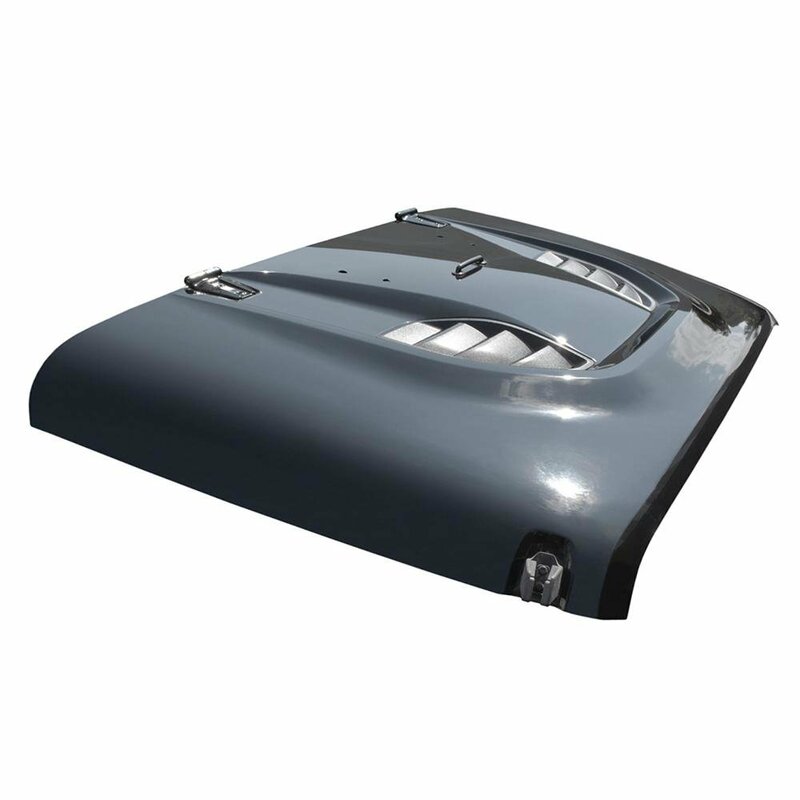 Function: This hood is vented to provide better cooling to your engine bay. Works with inner fenders to decrease under hood temperatures. 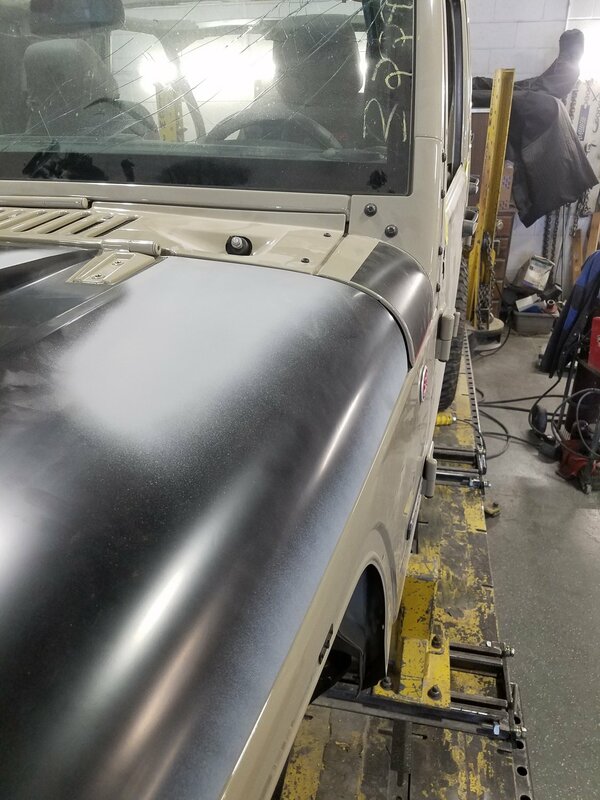 Paint to Match: This hood comes primered & ready to paint so you can match it with the color of your JK. Style: Gives your JK that 10th Anniversary look without the 10th Anniversary price making your fellow Jeep buddies envious. Before buying this hood I tried to find reviews online about it. Without finding reviews about this particular hood but other hoods DV8 offer that had good reviews I decided to get this one. I fully regret going with this hood and wish I just spent the extra money for a Mopar hood. To start these hoods will come damaged from shipping so plan on that, I got three shipped to me and each one was bent-in on the front corners and dents here and there. After the third one showing up like that I decided to keep it because I couldn't wait for another one. 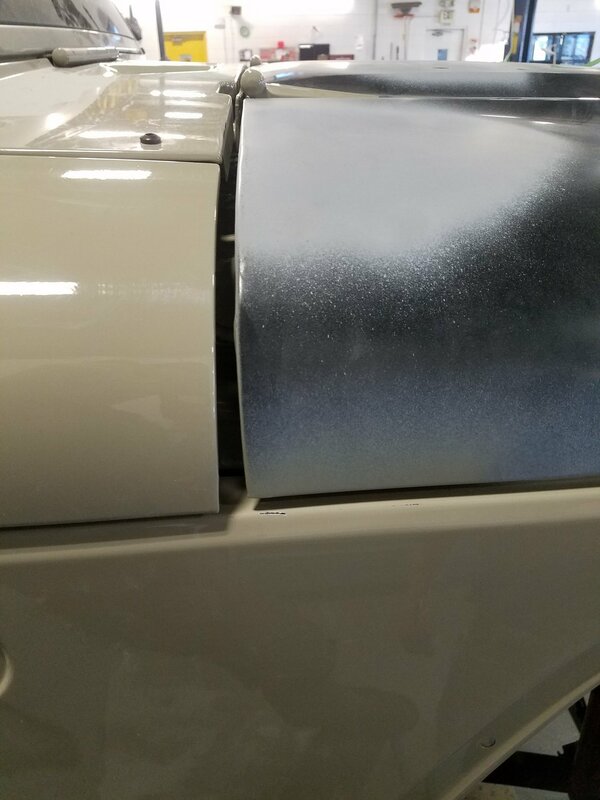 We got it all straightened out and looking good but now after fitting it on the Jeep the shaping of the rear of the hood against the cowl and fender is way off and looks terrible and really there is no way to fix it because its not cut and shaped right instead of just needing body work done. Wish I could post pictures of it because its not even close. Don't buy this hood. However, Quadratec has awesome customer service and they were more than willing to keep trying to get me a hood that was undamaged so I would buy parts from them in a heartbeat, its just the DV8 brand hood that is no good. This is a fair and honest review. I have done plenty of body work in the past, now I don’t have enough garage space to tackle this stuff so I had a body shop take care of it for me. DV8 needs to work on their packaging, big time. Chances are, this hood will arrive damaged, so plan for that. If they can ship a good product, that would save you some labor at the shop. My hood latches don’t line up good, very disappointed in this item. Don’t want to risk that? Spend the extra money and get Jeep branded hood. Vents don’t fit perfectly, original windshield washers won’t fit, hope is different (it’s possible that was a change that Jeep made). If you are going from a stock, flat hood, you will need to know that this hood has 2 windshield washers instead of one. What is this hood made of? Does this hood come with the vents as well like shown in the picture. What material is this hood made of?